Categories: Cantilever Promotional Parasols, Printed Parasols: 4 Week Lead Time. Our Small Cantilever Branded Parasols measure 3m and have a square canopy, with an optional valance. Hanging printed parasols or cantilever parasols have a side shaft / post and arm from which the canopy hangs. 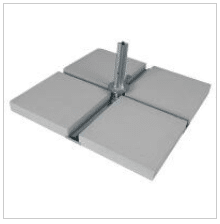 This maximises the clear floor space under the parasol for optimum coverage and great if you have a tight space or a lot of furniture and people over shade. The side pole, side arm and ribs all come in strong anthracite grey aluminium. 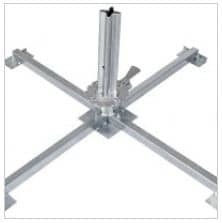 The side pole measures 60mm x 60mm and the 8 ribs measure 30mm x 18mm. The total weight of one unit is 26kg (minus the base). 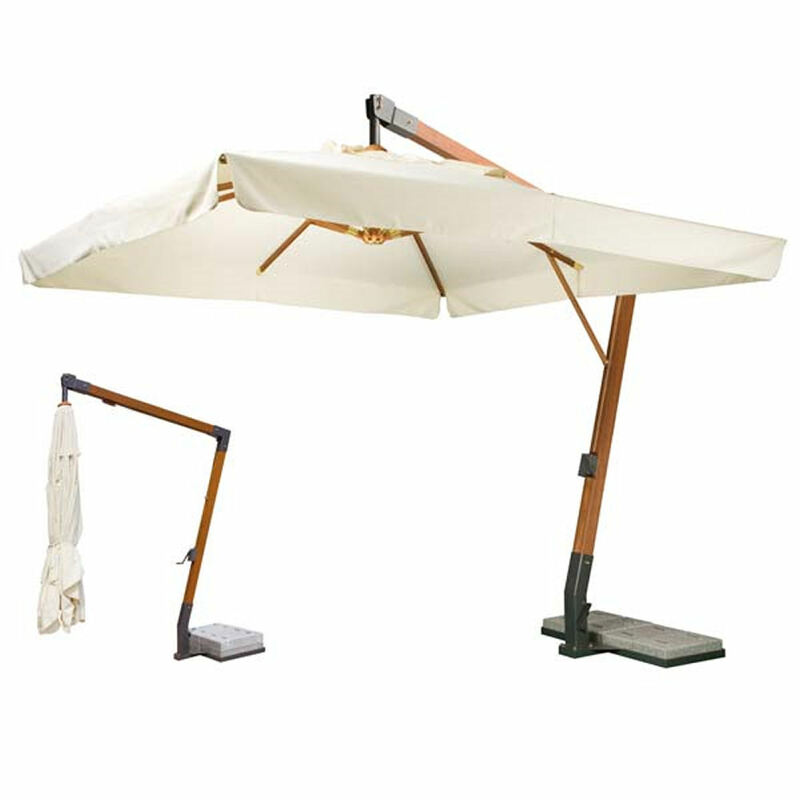 Our Small Cantilever Branded Parasols have a easy to use handle and crank opening and closing system. The canopy closes and sits neatly alongside the side pole for neat storage when not in use. These printed parasols come with a square canopy with 4 panels. You can opt for a valance which can also be printed. We can brand your promotional parasols with a simple logo print, or upgrade to all-over process print. We digitally print as standard allowing us to pantone match colours exact to your branding for a high end look. We use fade resistant canopy dyes, guaranteed to the highest fade resistance of the colours (7-8 degree according to ISO 105. B02), so you can trust your parasol will stay vibrant and eye catching. Square canopy with 4 panels. With or without valance. Polyester treated with a protection covering preventing water absorption and protects from rain, dust and harmful UV radiation. Shower proof. We utilise long lasting vivid ink & colour and our adopted techniques ensure crisp and clear printing so that even the finest detail is visible. Here at Brollies & Parasols we specialise in customising promotional umbrellas and printed parasols specifically to our clients’ requirements. 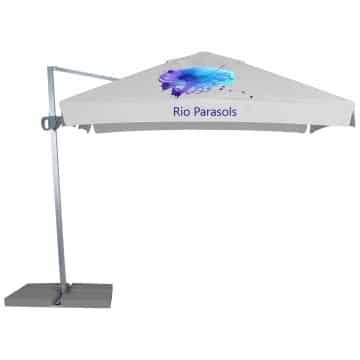 This means we have a full and extensive range of parasol branding options. These result in promotional parasols that are completely attuned to your needs and branding. 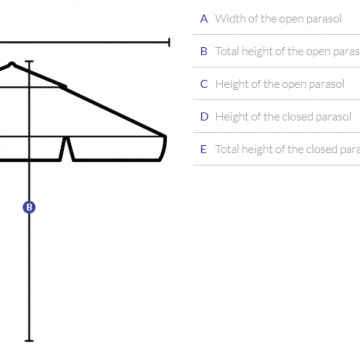 Need More Help With Your Branded Parasols?